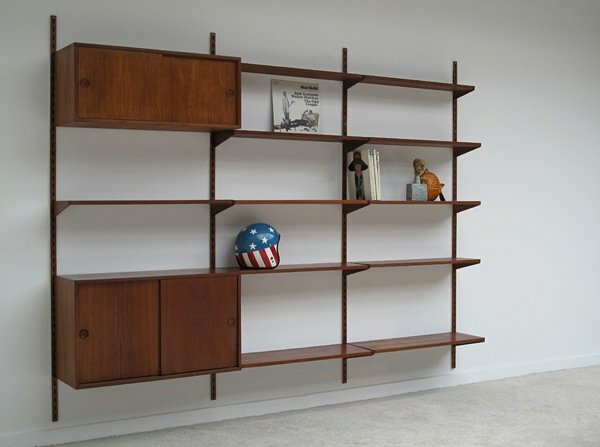 Kai Kristiansen is a designer who’s work represents examples of Danish mid twentieth century furniture. Kai Kristiansen designed everything from tables, writing desks, sideboards, chairs, tv stands and bar cabinets. 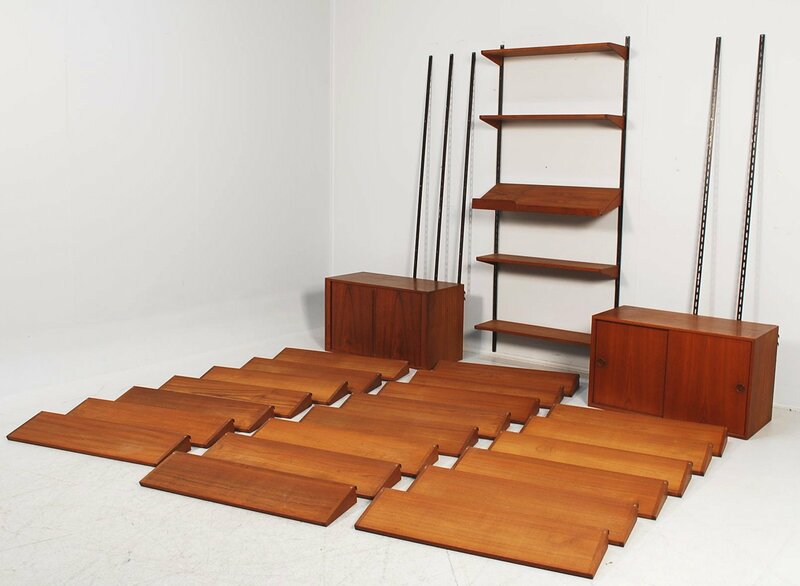 Kai Kristiansen’s furniture was mostly manufactured in teak or rosewood. One of Kai Kristiansen’s most famous designs is the FM Reolsystem, a shelving system which was designed to offer maximum flexibility with endless possibilities to combine wall mounted shelves and cabinets to fit any wall in any home. 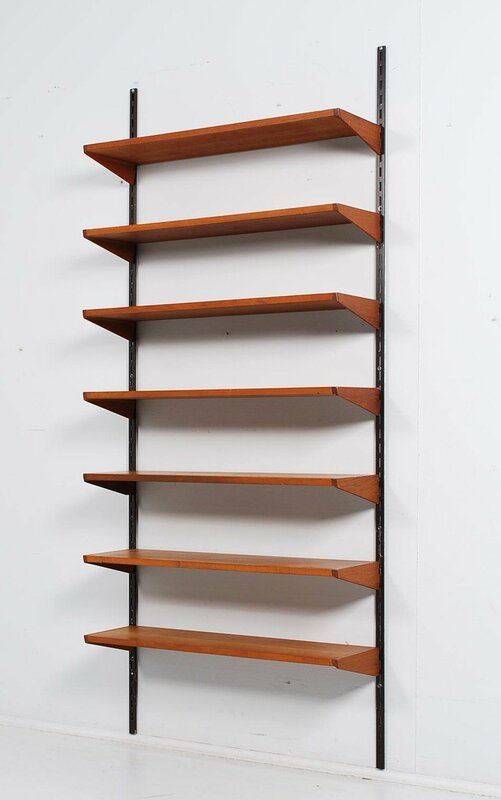 The simple use of metal bars which fix to the wall, and use of desirable wood looks amazing on these wall shelves. Overall the whole wall unit looks extremely designer. The use of straight clean lines and wood finish is gorgeous. This wall storage system is definitely the type of storage system I would have in my living space – its retro appeal is just fabulous!